1. Click on the 'Add files...' button and select a document. For instance, this example file. At this moment, only documents formated in xliff format are supported. 2. The uploaded file should appear in the document list. You can add as many files as necessary. 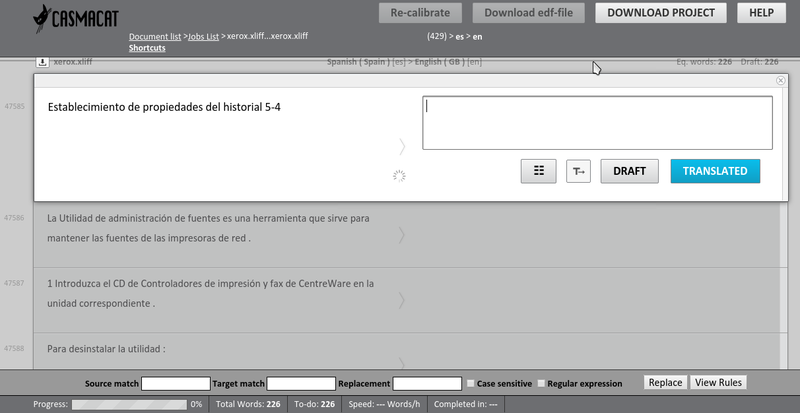 When all documents have been added, click on 'Start translating'. 3. As a result, the Casmacat UI will be displayed. 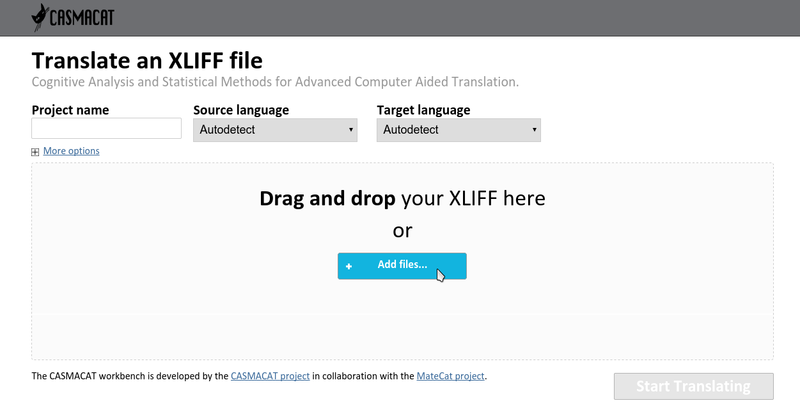 The User Interface guide gives more information on how to use the features of the Casmacat Workbench.